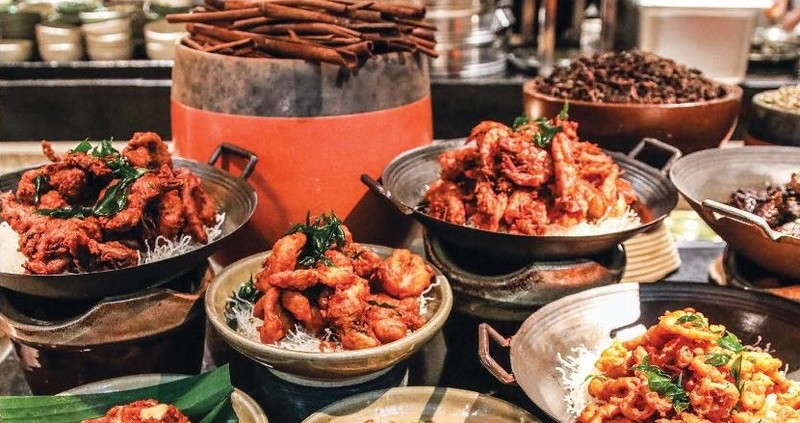 Starting from 6 May 2019, Grand Hyatt Kuala Lumpur invites you for an authentic Malaysian culinary exploration at JP teres. From private dining affair to large-scale event, gather your family, friends and business associates for a scrumptious Malaysian buka puasa buffet of Malay, Indian and Chinese selections. Enjoy a hearty meal while satisfying your visual appetite with the showcase of aesthetically pleasing Malaysian visual arts from Sireh Pinang Colony. The extensive buka puasa buffet with over 150 dishes, featuring more than 20 live-cooking and buffet stations including slow-cooked Kambing Golek carving station, grill stations featuring assorted satays, tandoori station, Nasi Kandar station, Middle East specials, Chinese roasted duck pancake station, over 30 mouth-watering desserts and many more. To intensify your dining experience, the chefs will be firing up the grill for exclusive Barbecue Nights every Friday and Saturday at the outdoor dining area of JP teres featuring a selection of meats and sustainable seafood. Heightening up your Sundays will be the freshly prepared seafood on ice sourced sustainably with highlights including assorted oysters, tiger prawns and crabs. *Full pre-payment is required 7 days prior to arrival to guarantee group booking. Full pre-payment is required to guarantee a booking and prices quoted are inclusive of 10% service charge and 6% Sales and Services Tax (SST). For reservation, please call JP teres at +603 2182 1234 or email jpteres.kuagh@hyatt.com.